When visiting Myrtle Beach for your summer vacation, there can be an overwhelming amount of attractions to choose from. Fishing along the Grand Strand is a great option to get the whole family out in the fresh air for some fun! If you’re looking for family-friendly fishing spots, we’ve got the hook-up! Spend this year’s summer getaway one on one with nature at these areas in Myrtle Beach. The possibilities are endless when you choose deep sea fishing during your stay! 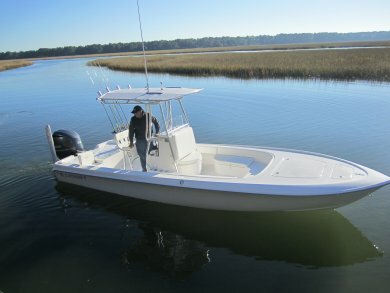 Fishing Charters in Myrtle Beach offer hours of fun out in the deep blue. Choose from a full day of fun or maybe you’d prefer a half day of fishing in the Atlantic. All you’ll need to bring along with you is water, sunscreen, and a smile! Visit the historic Cherry Grove Fishing Pier for a great family-friendly atmosphere. The Cherry Grove Pier is the perfect spot for reeling in a fish or grabbing an ice cream and taking a stroll. 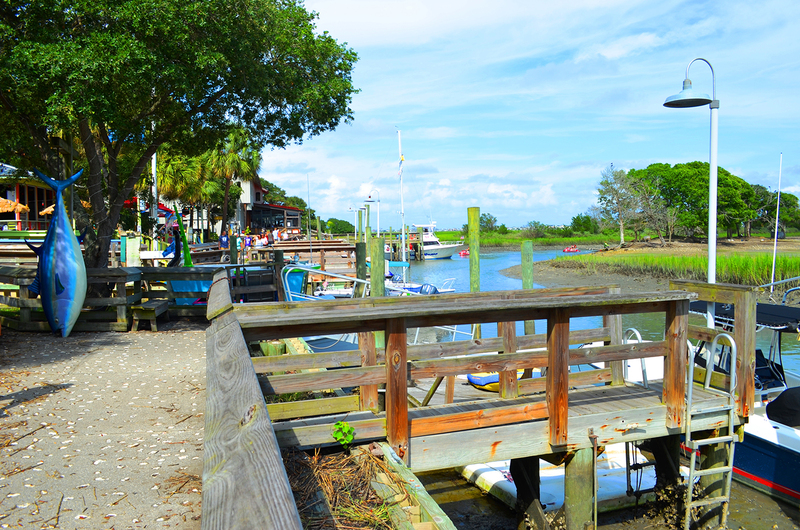 If you love the location but want a different fishing experience, the Cherry Grove Park & Boat Landing has a fishing dock. A local’s favorite for fishing, the Apache Pier is the largest wooden pier on the east coast and open from 6 a.m. – midnight during the summer! The Apache Pier is located in the heart of Myrtle Beach. There is a fee if you want to fish from the pier, but the pier also provides rod rentals for beginners. Head further south for a brand new fishing experience along the inlet! 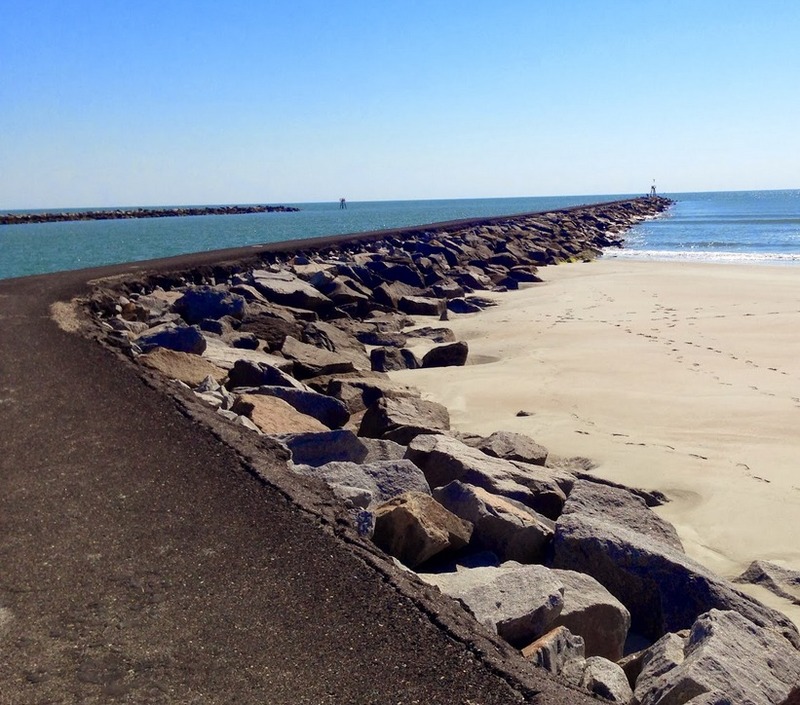 The Murrells Inlet Jetty is about 3,000 feet of asphalt along the rocks that you can fish from. The view from the jetty is spectacular and provides the perfect backdrop while reeling in the best fish! While there is a fee to enter the park, the lack of crowds more than makes up for the price! At the Myrtle Beach State Park, you are allowed to fish along the surf of the ocean while there are not crowds of swimmers nearby. 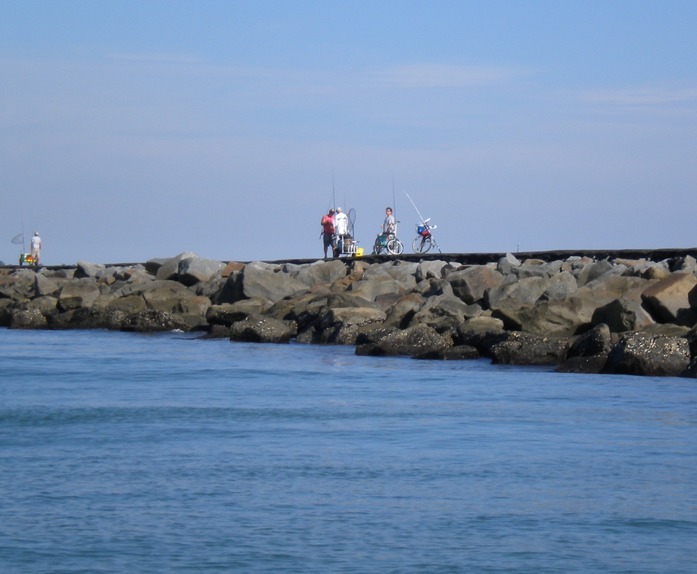 Whether you choose to fish on the pier or try surf fishing, you’re sure to have a fun time! By staying at The Marina Inn at Grande Dunes during your visit to Myrtle Beach, you’ll be minutes away from the best fishing spots along the coast. You can also save big when you book your accommodations under our summer sales package. Aim to catch the biggest fish for bragging rights when you return home! During your stay in Myrtle Beach this summer, spend your time and money wisely by taking advantage of the best free activities on the Grand Strand that your family is sure to love! Is there any better feeling than spending the day lounging with your toes in the water and the sunshine on your face? The Grand Strand is known for beautiful beaches and friendly people. 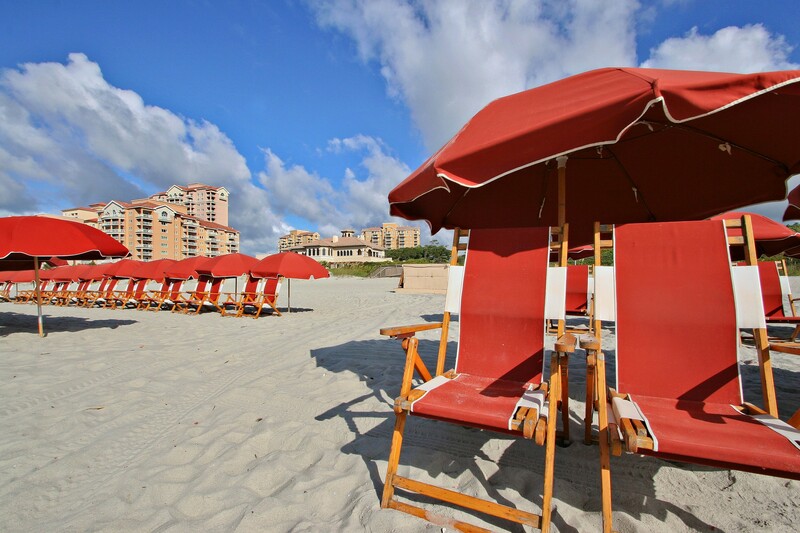 Our private beach is perfect for a day of play in the sand and the waves. Plus we have all the essentials – chairs, towels, a snack shack, and even a complimentary shuttle so you don’t have to worry about paying for parking. 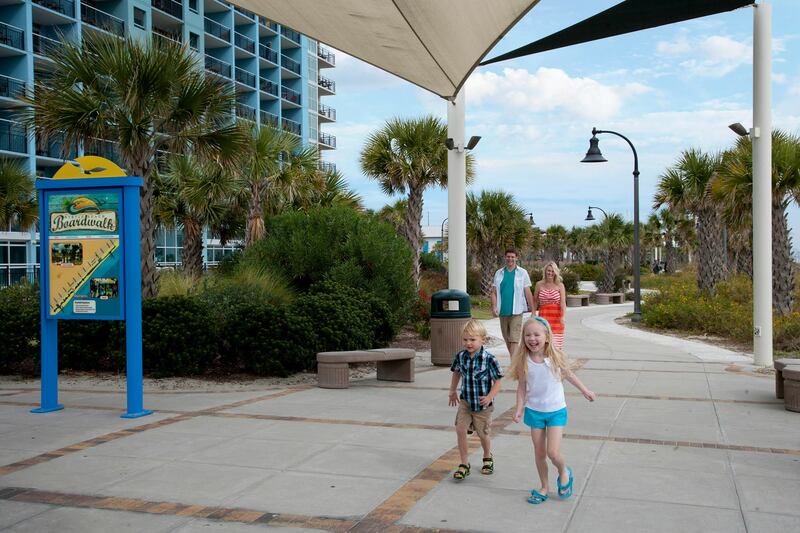 Along the Myrtle Beach Boardwalk, you’ll find a number of attractions including the Fun Plaza Family Center where your family can play old-fashioned arcade games and collect tickets for prizes! The Boardwalk also hosts free live entertainment throughout the summer with Hot Summer Nights concert series. Known for the shopping and various restaurants, Barefoot Landing has more to offer you this summer! Perfect for animal lovers, the T.I.G.E.R.S. Preservation Station at Barefoot Landing has a free wildlife exhibit on weekdays from 5-6:30 p.m. and you can get your picture taken with the cubs! Summerfest at Barefoot Landing will include nightly entertainment all summer long! Strolling entertainment, acoustic musicians, and live music are all in store when you take a walk around Barefoot Landing on a summer night. 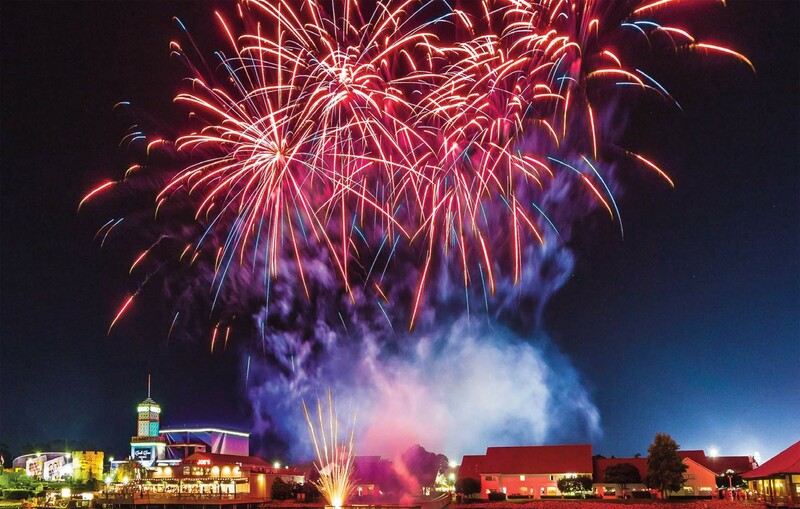 Barefoot Landing also hosts a free firework show every Monday night at 10 p.m. Surrounding Market Common’s boutique shops and restaurants are numerous parks with plenty of space to spread out and enjoy a perfect sunny day! Savannah’s Playground is an enabling playground located along the lake near Market Common and this park has it all! Savannah’s Playground offers unique features such as the Harmony Musical Park, Challenge Ropes and Zip Lining, and special playground equipment designed for children of all ages and abilities to have a blast. You and your family can spend time walking around the lake, playing on the playground and then grabbing dinner at one of the various restaurants nearby in Market Common! If you’re looking for a way to save some cash during the evening, all summer long Market Common will be showing a FREE family-friendly movie in Valor Park. 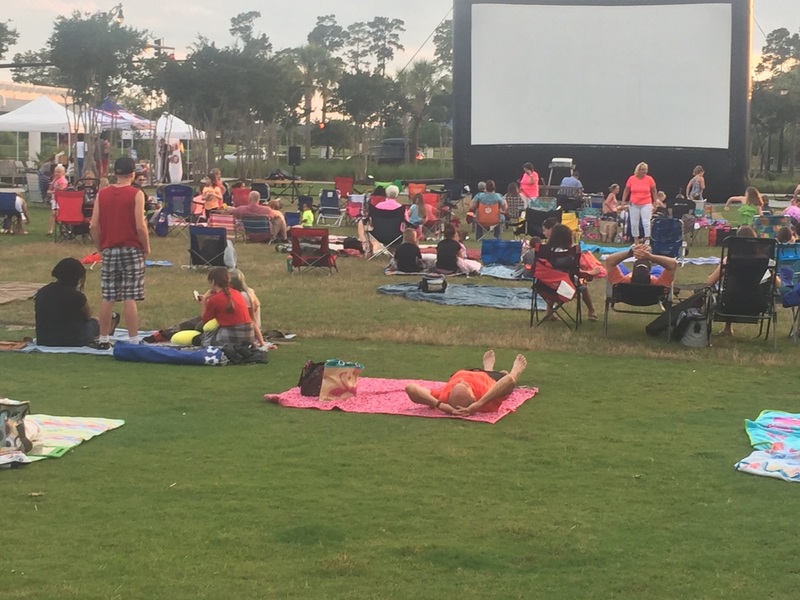 The movie will begin at dusk which is usually around 9 p.m. Valor Park also hosts live music throughout the summer! Click here for a list of upcoming movies and concerts. The Burroughs- Chapin Art Museum in Myrtle Beach offers free admission and includes different showrooms with various types of artwork shown throughout! The museum is located across the street from Market Common and just a short walk from the beach! Broadway at the Beach is located a few blocks from downtown Myrtle Beach and offers a fun atmosphere for the entire family! Every Tuesday and Friday night this summer, they will be hosting a firework show that begins at 10 p.m., get there early to grab a spot on the bridge for the best view! Broadway at the Beach also has plenty of street entertainment to enjoy while walking around after dinner. Located south of Myrtle Beach, the Murrells Inlet MarshWalk offers stunning views of the inlet and fresh seafood from a variety of local restaurants! The MarshWalk is one of the local’s favorite places for a view of the sunset and live music making for the perfect summer night! There are plenty of restaurants along the waterfront that offer a variety of award-winning cuisine with views to match. Kids Rule at Marina Inn! 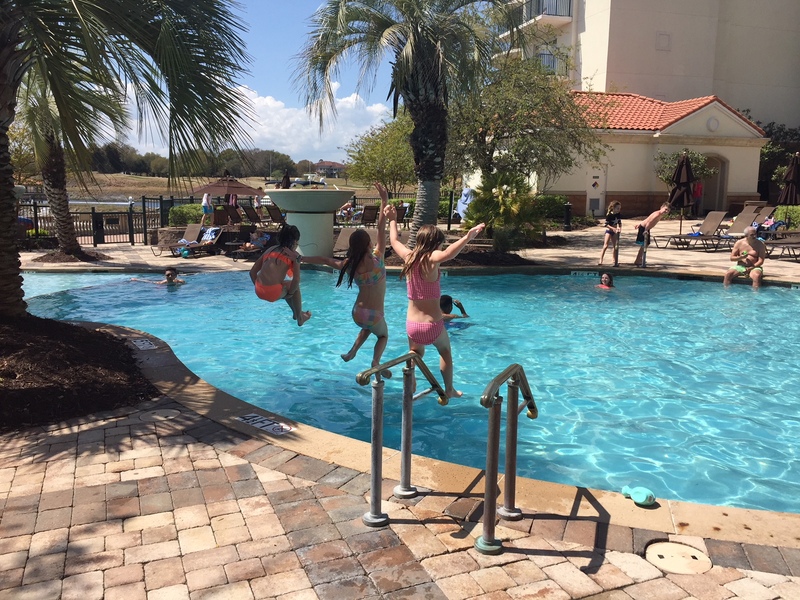 There’s nothing quite like quality family time during a summer vacation and this summer – it’s all about the kids at Marina Inn at Grande Dunes! Grab the whole family and get ready for a getaway filled with exciting activities and tons of adventures in Myrtle Beach. With school nothing but a distant memory, your kids will be counting down the days for this ultimate family summer vacation! Take away the stress of planning out every last detail of a family vacation by booking under our Summer Family Package. Plan your vacation and stay with us from May 25th through September 3th to take advantage of this amazing deal. The Marina Inn at Grande Dunes is already known as one of the top family resorts in the Myrtle Beach area. From the pool to ping pong to corn hole and more – we have tons of activities to keep your kids busy! Our Summer Family Package helps make sure even the youngest members of the family will have a vacation that they won’t forget. Under this package, you and your family will get a three night stay in one of our luxurious grande guest rooms with two queen beds. 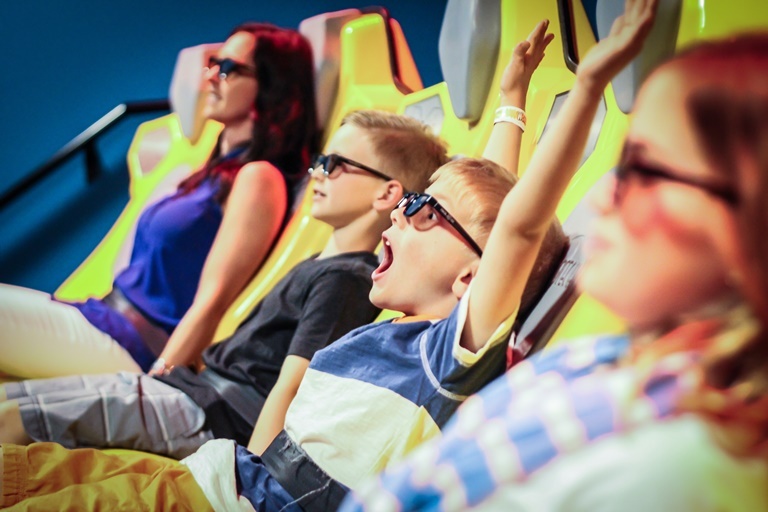 On top of your cozy accommodations, you will receive admission for two adults and two children (aged 2-11) to both the Myrtle Beach Wave Park and Ripley’s Aquarium. The Myrtle Waves Water Park is the perfect way to blend together the sun and fun! This water park is perfect for everyone in the family, even the adults. 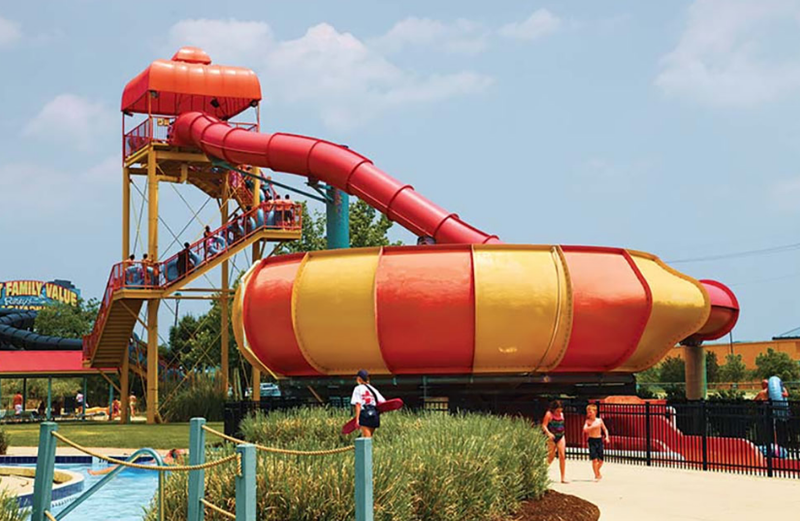 There are water attractions for all ages, ranging from the Kids Park Rides – such as the Saturation Station and the Bubble Bay – all the way to thrilling water slides like the Super Shoot, Turbo Twister, and the Rockin’ Ray. If the water slides aren’t your style and you’re looking for more of a relaxing day in the sun, you can take advantage of their large wave pool or float along the lazy river. Spending a day out on the water is the perfect way to keep the kids busy and make sure they’re having nonstop fun! Ripley’s Aquarium is a fun experience for all ages. This stunning aquarium is home to thousands of colorful aquatic life and is complete with interactive exhibits so your kids can experience more than just looking through a glass. 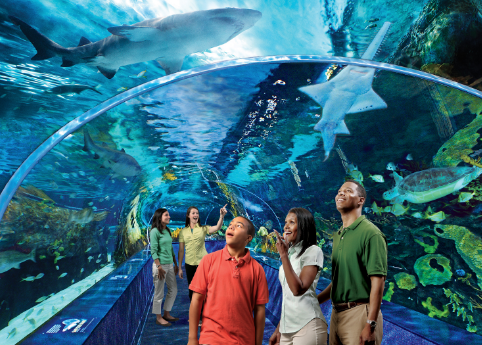 Along with the more popular exhibits such as Rainbow Rock and Dangerous Reef, your children will love the Ray Bay. At the Ray Bay, you can interact with the stingrays that call the Ripley’s Aquarium their home. These unique creatures love to put on a show so be careful, they do splash! After you’re done petting the rays, you can take in a live mermaid show or venture out over the Dangerous Reef on the Glass Bottom Boat. After exploring under the sea at Ripley’s Aquarium and shooting down the slides at Myrtle Beach Wave Park, your kids can continue splashing around at our outdoor pool. If you’re ready to play, challenge the family to a game of corn hole or ping pong with beautiful views of the Intracoastal Waterway. There are plenty of kid-friendly activities to enjoy at Marina Inn! All this family fun is sure to work up an appetite. Sorry parents – this one’s for the kids! This summer, make sure to take advantage of our Kids Eat Free program hosted through our award winning restaurant, Waterscapes. Kids ages 12 and under eat can enjoy eating for free from the kids menu! Our kids menu will satisfy even the pickiest eaters. Your little one can start off their day with our Eye Opener, which includes one egg, bacon or sausage, potato or grits, and toast. Or, if they’re wanting something sweet and covered in maple syrup, they can order pancakes or a half waffle. Both are served with their choice of either bacon or sausage. Alternative breakfast choices include cereal, a fresh fruit cup, and toast. Don’t forget about the drink! The kids can wash down their breakfast with a nice cold glass of juice or milk. If you’re dining later in the day for lunch and dinner, we have a tasty menu prepared for the kids! They can enjoy into our fresh chicken tenders, a hotdog or a juicy cheeseburger. If they’re looking for something a little cheesier, we also serve a grilled cheese and a cheese pizza. 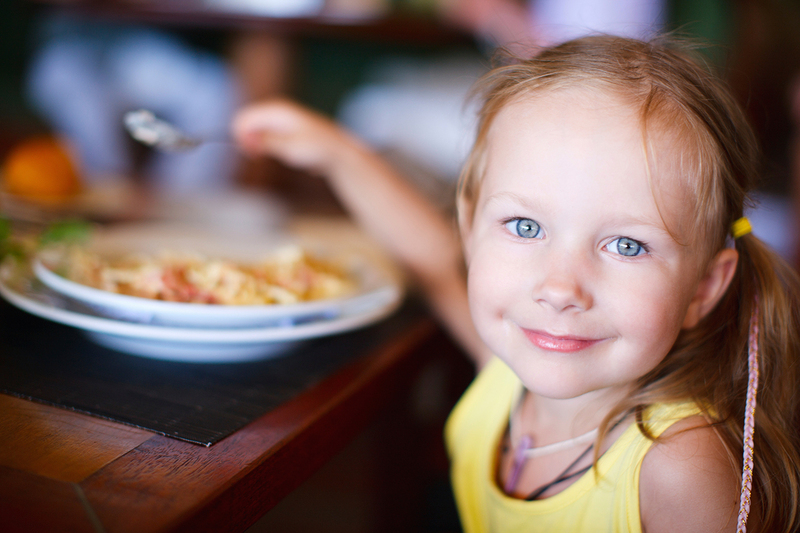 Your little one will love digging into a bowl of buttered noodles macaroni and cheese. All lunch and dinner items are served with french fries or applesauce, a cookie, and the choice of either milk, juice, or a soft drink. 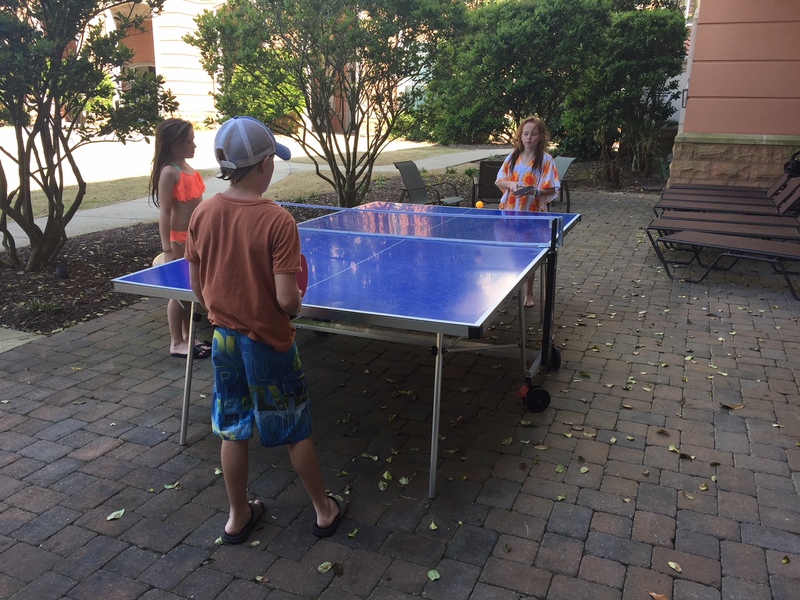 Kids rule this summer – especially when you stay with us here at the Marina Inn! Book through our Summer Family Package for a memorable Myrtle Beach vacation the whole family will love! Christmas is right around the corner and it’s time to get in the holiday spirit! Come spend some time this holiday season at Marina Inn at Grande Dunes. There are plenty of spectacular Christmas shows to watch such as tree lightings, holiday shopping and of course plenty of twinkling Christmas lights to see. Marina Inn is in close proximity to all the holiday happenings, so you can simply throw on your favorite Christmas sweater and grab a mug of hot chocolate as you venture out to enjoy all these holiday festivities in Myrtle Beach. From now – December 31st, you can take part in the “Great Christmas Light Show” in North Myrtle Beach. Over 2 million lights will be displayed throughout a 1.5 mile stretch in the North Myrtle Beach Park and Sports Complex. Over 500 festive light displays, with some measuring up to 55 feet tall, have been custom made for this magical light show. Guests can enjoy a new feature of the show this year as a section of lights come alive to synchronized music. Once you’re done driving through the display, you can visit Santa’s Village and see Santa himself and enjoy roasting a S’more or two. Be sure to check out Go Ape, where the normal ropes course has been transformed into a magical world of christmas lights or you can even go tubing down Santa’s giant inflatable slide! Santa’s Village will be open Friday and Saturday only from November 24 – December 9. Brookgreen Gardens will transform under 5,000 handlit candles and countless lights for the annual Nights of a Thousand Candles event. You can enjoy exploring the gardens with friends and family along the lit path while sipping a cup of cider and singing along to holiday music. At 5:45 pm, the 85-foot-tall fir tree, decorated with over 100 thousand lights, will be lit in a ceremonial fashion. Nights of a Thousand Candles will be running from December 1-2, 7-9, and 14-17. Due to the popularity of this event; admission must be purchased in advance online. Pricing: Adults=$20.00; Child=$12; Children under 3: Free. Click Here to purchase tickets. The Carolina Opry Theatre in Myrtle Beach is well known for their annual Christmas Show but a little known, but just as engaging is LIGHT – Holiday Show. This unique presentation includes stunning lasers coreographed to holiday tunes. Its hard to explain how they achieve this but lets just say the combination of color & movement from the lasers combined with holiday music is a one of a kind holiday experience! All seats are general admisson and is it affordably priced at $15.02 for adults; $12.00 for children ages 3-16. Beer & wine is available for purchase at this event. Check Here for days and times as they vary throughout December. If you love visiting the Murrells Inlet MarshWalk, there are several holiday event happenings to attend. You’ll be amazed as it lights up under the glow of thousands of twinkling lights for the Marshwalk Wonderland of Lights. Watch the magical holiday display, featuring holiday music synced to lights. The Murrells Inlet MarshWalk has transformed into a winter wonderland for the upcoming holidays. This event is taking place Monday – Saturday nights from 7:00-11:00pm. Check their Facebook page for more details. If you can make it on December 9 or December 16 – partake in the Merry Marshwalk Christmas! From 10am to 5pm, with local businesses and artists will line the MarshWalk. Don’t forget to to meet Santa from 12:00-2:00pm. And then finally, the Murrells Inlet Marshwalk Santa Crawl happening on December 16 from 5:00-10:00pm is for adults only where you will enjoy Tito’s Vodka holiday drinks from each participating restaurant and a variety of dining from seafood to pizza! Win cash and prizes in the “The Best Santa Attire “Contest. Winners of the contest will be announced at 10:00pm. So don’t be a Grinch and make sure to stop by and enjoy dining along the many restaurants along the walk or endulge in some holiday cheer! A visit to Myrtle Beach would not be complete without a visit to, well, the beach! Visit “Holidays on the Boardwalk” and take a stroll boardwalk will be lit with 10,000 holiday lights. There’s also activities for the kids such as holiday train rides, live entertainment, face painting, pictures with Santa and more! Best Value Holiday Packages at Marina Inn! 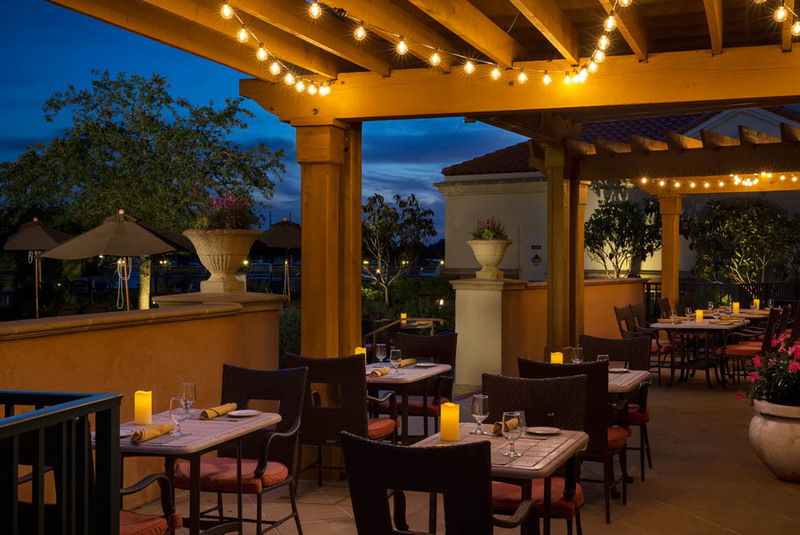 Get in the holiday spirit this year at Marina Inn at Grande Dunes! Celebrate the holidays in style with a vacation here in Myrtle Beach with one of our many holiday packages. Whether you’re looking for a Thanksgiving, Christmas, or New Year’s Vacation we’ve got you covered with these special packages and more! $50 Visa Gift Card per night to kick off your holiday shopping! 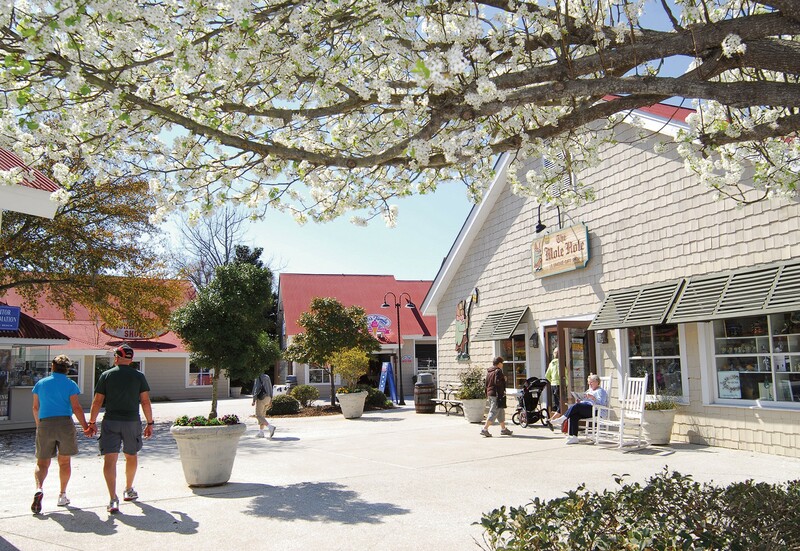 You can shop til you drop at either of the Tanger Outlets in Myrtle Beach, Broadway at the Beach, and Barefoot Landing. 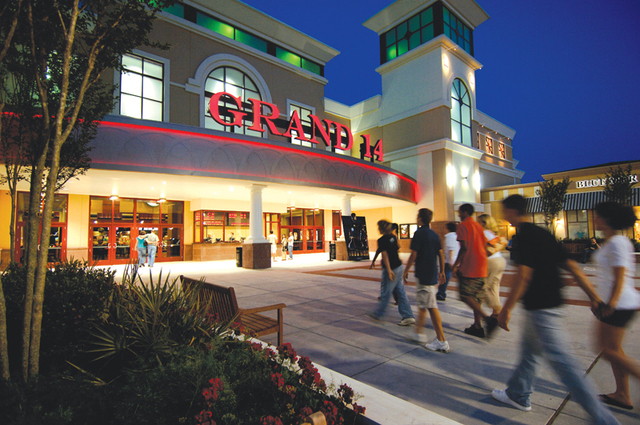 Myrtle Beach is home to both big name brands as well as locally owned stores with unique specialty items. While you’re planning out the ultimate shopping trip, make sure to check out some of the locally owned businesses Myrtle Beach has to offer. Lazy Gator, which has a location in both Murrells Inlet and the Market Common, carries designer name gifts, decor, and accessories. They also feature work from local artists as well as fresh homemade fudge and candy! If you’re looking to revamp your entire wardrobe, check out Ivy & Leo in the Market Common. They offer you the latest trends without the guilt of a high price tag. If you’re making a stop at Broadway, make sure to check out stores like the Tinder Box, Southern Connection, Savannah Bee Company and Palmetto Paradise for unique and a few tasty gifts to bring back home! 2 regular admission tickets for this must see, unforgettable holiday experience that’s right across the way from Marina Inn at Grande Dunes. When you’re ready to burn off all of those extra calories, make sure to get out and explore Myrtle Beach. Take in the view from above at the SkyWheel or stroll along the Myrtle Beach Boardwalk. Balloon drop & party favors at midnight! Additional nights of December 29 & 30 may be added to the New Years Eve package reservation at the rate of $99++ per night. At Marina Inn at Grande Dunes, the holidays have never been so exciting…. All of our offers are based on a grande guest room. These luxurious rooms include a one king or two-queen beds and a private balcony with views of either the Waterway and Golf Course or the Pool/Marina. Take all the pressure off of yourself and the hassle out of the holiday season by escaping to Myrtle Beach and booking your stay at Marina Inn. Larger suite accommodations are available at an addtional rate. Looking for Halloween Fun or Halloween Fright – Myrtle Beach has it all! Ghosts, pumpkins, zombies take over the streets of Myrtle Beach during the month of October. When you book your stay at Marina Inn at Grande Dunes, you’re close to all the frightful happenings taking place around the Grand Strand. Whether you’re looking for family friendly events or a spooky night with friends, here are some activities to check out while you’re in town. Ghosts on the Coast Halloween Celebration celebrates its first year at Grande Dunes! Conveniently located on the Grande Dunes Resort – a short walk from the Marina Inn at Grande Dunes. From 5:00-9:00pm at the Grande Dunes Marina – dress up in your favorite costume and partake in all of the spooky fun activites with street performers, carnival games, lighted boat displays and cuisine for purchase from local food truck vendors. Then take a spooky cruise down the ICW on a pirate ship with times availalbe every :30 from 5:30-9:30pm. Sign up for the costume contest with entires for children, youth & adults. Then, don’t forget your chairs/blankets for live music featuring on of SC’s top bands Sea Cruz at 7:00pm pm tje Grande Dunes new Music & Event Lawn. Admission is open to the public and free! Donations are being accepted to support the American Red Cross disaster relief efforts with Grande Dunes properties matching donations collected at the event. For those who are fans of Terror Under the Bridge, this is your last chance to enjoy the haunted house. After 10 plus years of scaring the people of Myrtle Beach, this will be its last blowout. Voted as one of the best-haunted attractions in the Grand Strand, this haunted house takes scaring to another level! Located just 20 minutes south of the Marina Inn in the Fantasy Harbor area, Terror Under the Bridge will be taking place at X Sports Mall on October 20-22nd and 25-31st. Cost is $14 per person from 7 pm to 11 pm. 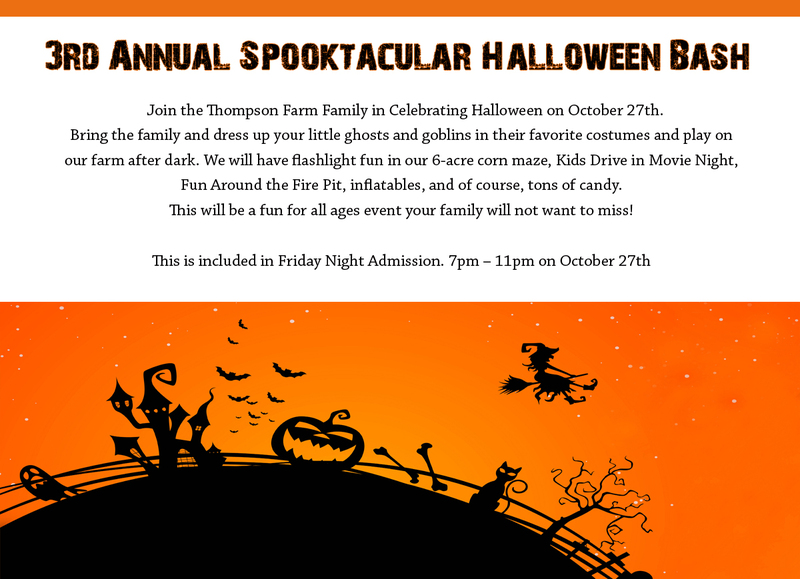 On Friday, October 27th, Thompson Farms will be hosting their third annual Spooktacular Halloween Bash. This family friendly event features a corn maze, a kid’s drive in movie night, fire pit, inflatables, and tons of candy! Warm up by the fire pit with a cup of hot cider while you roast s’mores with the kids. Admission to the Spooktacular Halloween Bash is included in your Friday Night Admission of $9.00 + tax per person. Thompson Farms is located in Conway, SC off of Hwy. 701 which is about a 45 minute drive from Marina Inn at Grande Dunes. Then on Saturday, October 28th, the most competitive and creative adult Halloween contest in town is at Broadway at the Beach ! If you want to compete for the best costume in Myrtle Beach, their annual Halloween Bash on the Avenue starts with live music featuring DJ Rich beginning at 7 pm. Later that evening their costume contest offers generous cash prizes for first, second, and third place winners. Free admission to all of the clubs at Broadway at the Beach for those wearing a costume. Broadway at the Beach is a short 20 minute drive south of the Marina Inn at Grande Dunes. On Saturday, October 28th from noon to 4:00pm, our furry friend get to participate too! Dress up the kids and pets in their favorite costumes at Boofest! at Barefoot Landing. There will be costume contests for children and pets, carousel rides, face painting, a petting zoo, corn hole and more! Admission is Free! Barfoot Landing is just a 10 minute drive north of the Marina Inn at Grande Dunes. Have you ever been in a real haunted castle? If not, here is your chance to explore the rumored to be haunted “Atalaya Castle” at night on Friday, October 27 & Saturday, October 28 from 6:00-9:00pm for the Atalaya Fall Festival & Haunted Castle. There are different attractions to accommodate younger children to adults. Little ones dont have to worry about the ghouls. There will be carnival games, crafts, spooky cartoons, smores, bonfire and more! Admission is $10 for adults; $7 for children & Free for children 5 & under. Located inside the Huntington Beach State Park off of Hwy. 17 Business in Murrells Inlet, SC – a 30 minute drive south from the Marina Inn at Grande Dunes. On Halloween night, the Murrells Inlet MarshWalk will have something for everyone beginning at 5:00pm for “Trick or Treating” for the kids. There will be a children’s costume contest at 6pm with prizes awarded for the most creative, best group, funniest, and scariest. Then send the kids to bed because as the moon rises, things will get very spooky along the Murrells Inlet MarshWalk! Adult costume contest will begin at 7 pm with prizes being awarded for best duo/group, people’s choice, best individual, big and bulky, Murrells Inlet themed, and honorable mention. Then party with the Ghouls into the evening for a frightening good time! With the seemingly unlimited events for Halloween, Myrtle Beach is the place to be to celebrate. With a wide variety of options, there’s something for every age group. Whether you’re just wanting to show off your killer costume & win losts of cash and prizes or collect as much candy as possible, Myrtle Beach has you covered this Halloween. Save up to 35% when you book your Fall Getaway at the Marina Inn at Grande Dunes! We are centrally located to all of the most popular Halloween Happenings! WATER FUN DOESNT HAVE TO END WITH SWIMMING THE SURF OR POOL – THERE’S MUCH MORE WATER ADVENTURE TO TRY IN MYRTLE BEACH! We’re letting our visitors in on some secret places they may not know about while vacationing in Myrtle Beach. While the pool at Marina Inn at Grande Dunes is a great place to relax and the ocean is spectacular, there are other ways to enjoy the beautiful weather and water activities during the hot summer months. Check out some of these awesome cool and unique water adventures! Myrtle Beach Watersports has been locally owned and operated since 1996 and the best part is one of the two locations are located right here beside the Marina Inn at Grande Dunes at the Grande Dunes Marina offering different adventures for everyone. Get up close and personal with the dolphins of the Grand Strand on a Jet Ski Dolphin Watch Tour. Watch as these dolphins swim right along with you! For thrill seekers, take an adreneline pumping ride into the back river waters on Shawn’s Backwater Adventure. Or you can rent a couple of jetskis or pontoon boat for a relaxing ride down the Intracoastal Waterway. A few minutes drive north you will reach Barefoot Landing where you can find some treasure aboard Blackbeard’s Pirate Cruise. This is an interactive pirate adventure that both kids and adults can enjoy together! And when you book with Myrtle Beach Watersports, they offer a GoPro rental so you can capture your water adventures in an awesome video! Reservations are highly encouaged for all tours at Myrtle Beach Watersports! If you’re interested in giving back to our environment, all while enjoying the waters of Myrtle Beach’s Grand Strand, then try some paddleboarding with the Carolina Waterman. They are a non-profit organization that aims to give back to our fragile aquatic environment in Myrtle Beach while educating the community. You can head south of the Marina Inn at Grande Dunes down to Peachtree Landing in Myrtle Beach on the Intracoastal Waterway for an adventurous 2-hour paddleboard experience that includes 20 minutes of instruction and 1:30 of paddleboarding time for an all inclusive price of just $65.00 per person. If you’re feeling brave enough to tackle some ocean waves, come out for a one-hour surf lesson for just $45.00 per person. Surf lessons take place at Springmaid Beach – just south about 30 minute drive of the Marina Inn at Grande Dunes. Check their calendar for available times/dates and to book reservations at Carolina Waterman. Want to get serious about surfing? Learn how to Hang 10 with Jack’s Surf Lessons! A more intensive surfing program specializing in teaching the art of surfing. Jack, the owner, wants to give you memories that will last a lifetime. If you’re interested in learning how to surf, they offer lessons tailored to any individual so prices vary. Or, if you already know the basics, you can rent your own surfboard and ride the waves for the entire day! If you’re interested in a slower pace, they offer a sunrise or sunset Kayak Tour along the ancient waters of the Waccamaw River or the inlet waters of Murrells Inlet for just $55.00 per person. And if you’re interested in doing a little solo exploring, feel free to rent a kayak for the day. Located on the north side of the Springmaid Pier on Springmaid Beach in Myrtle Beach, give them a call or check out their website – Jacks Surf Lessons to see times, prices and availability. Although the beach is what draws people to Myrtle Beach’s Grand Strand, there is so much more to explore! Black River Outdoor Tours lets you experience the Lowcountry of South Carolina in a variety of ways from sightseeing to bird watching and even fishing. These kayak tours take you to a wide range of locations, including the Waccamaw River. You’ll get to see a range of wildlife, ecosystems, and beautiful Cypress trees with hanging Spanish moss. There are 2-hour and 4-hour tours available along with birding trips and fishing trips. The birding trip takes you to Huntington Beach State Park, which is known to be one of the top birding sites on the east coast. You’ll have the opportunity to go on a guided 3-hour kayak tour of the marsh along with a 3-hour tour around the freshwater lagoons. These unique Kayak Tours allow you to explore parts of South Carolina’s lowcountry that are usually completely missed by Myrtle Beach tour visitors. The various locations of tour sites include Myrtle Beach, Murrells Inlet, and Georgetown. If you’re in town during the upcoming solar eclipse on August 22 then check out Black River Outdoor Tours Total Solar Eclipse Kayak Tour that will take place at Harris Landing – just south of Georgetown about 1:15 drive from the Marina Inn at Grande Dunes. This once in a lifetime event will last 3.5 hours and is $100 per person of which 75% will go towards the rebuilding of the Huntington Beach State Park Nature Center that was lost in a fire last year. Horseback riding on the beach is quickly becoming less available on the beach. What better way to create lasting family memories than with these amazing, beautiful horses. Just a 30 minute drive north of the Marina Inn at Grande Dunes, saddle up to Inlet Point Plantation in North Myrtle Beach. These guided tours allows you to ride along the shore on a Private Island Beach Ride or shaded trails along the Intracoastal Waterway while on horseback. This is an amazing opportunity for people of all ages and a fun adventure for the whole family. They have several options from a one hour beach tour to two hour beach/waterway ride. They also offer sunset rides for an extra special memory. For little ones, they also offer :30 Pony Rides. Prices vary from $60 to $200 per person; depending on tour. Images courtesy of Inlet Point Plantation. So now that we have let you in on some local secret spots, why not take advantage of our “End of Summer Sale” where you can Save up to 40% with rates starting at $161.00++ per night and “Kids Eat Breakfast Free” now through August 31st. Book Summer Special Offers Now!